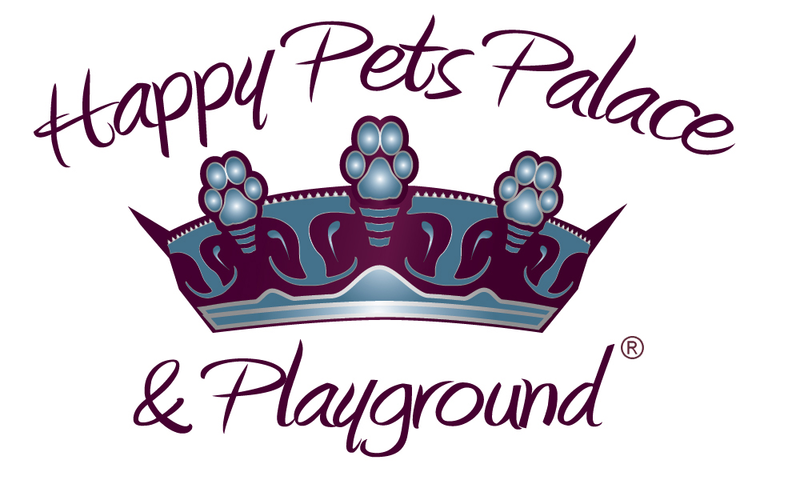 We will be blogging on different dog-friendly restaurants in the Mesa, Gilbert, and Chandler area over the next few months until we have tried them all! 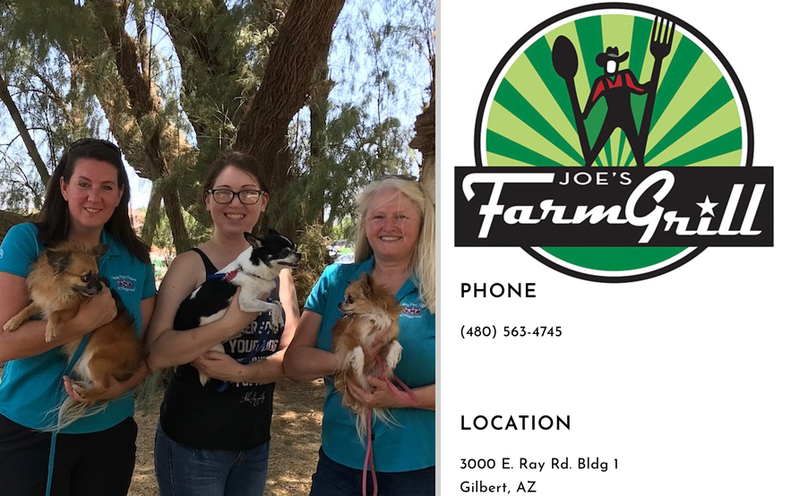 Joe’s Farm Grill, in Gilbert, was the spot chosen for our very first restaurant outing. Joe’s Farm Grill offers plenty of outside picnic tables positioned under huge shade trees. During summertime, or when the weather is over 100-degrees, be sure to avoid the heat of the day because there are no misters outside to offer relief. But with shade trees, an outing during breakfast or a cooler evening would be really enjoyable for you and your dogs. The restaurant provided water for our pups but be sure to pack your own dog water bowl and food bowl. It would be nice if there were a couple dog food choices on the restaurant menu, but there are a few options of human food items ­— such as the grilled chicken sandwich — which could be shared with your fur baby. The grilled chicken sandwich was topped with melted cheese and my Chi-boys loved it! My Chihuahua boys weigh about 12-pounds together, Dylan at 3.5 pounds and Brinkley at 8-pounds. I would say the boys could have easily eaten the whole piece of chicken meat because it was very tasty. However, they were limited to about six tiny bites each. If you have a dog weighing 40-pounds or more, then they could easily eat the meat and cheese from the sandwich by themselves, so be sure to order two sandwiches if you’re also hungry. In hindsight, maybe the restaurant would sell a second piece of meat and cheese by itself for your dog. It’s worth asking. One awesome feature of this dog-friendly restaurant is that the clean air-conditioned restrooms are located outside! This means you can absolutely go to the bathroom with your dog by your side. And that is important because if you don’t have a friend with you, it would be risky to ask a stranger to watch your baby even for a second, because, what if… You can fill in the blank there for the “what-ifs” that could occur. In twelve years, this was only my fourth time dining out with my dogs. The overall experience was interesting and a little stressful. We will have to practice this a few more times before the feeling of dining with my two Chihuahua boys is completely enjoyable. There were a few embarrassing moments like when my two Chihuahuas rudely “welcomed” the Pit puppy who sat at the picnic table beside us. My dogs barked a lot, and that wasn’t great. Then the larger of the two, Brinkley, felt he needed to jump up on top of the picnic table. Thank goodness the atmosphere is very casual although it was still embarrassing. In order to better enjoy the experience as a dog mom, I need to work on helping my pups have better manners, especially when out in public. Now that I know what to expect from my small dogs, I can say next week I will be more prepared for taking my dogs to a dog-friendly restaurant. I have some homework to do to set my guys up for success. I will have to keep a shorter leash on my table jumper and have faster reflexes. Also, when new dogs approach us, I will distract both my boys with treats and encourage friendly behavior towards new dogs and their families. We will get better at this with practice and time. And if you are new to taking your dog to dog-friendly restaurants, the first few times may be a little awkward for you and your dog. Journey and learn with us. We believe that with time and experience, taking our dogs with us to dog-friendly restaurants will become pleasant for us all. Our next dog-friendly restaurant outing will be in Chandler during the early evening of July 11th. We are expecting a cooler day Wednesday, with a high of only 95-degrees. Nice! We will be joined by Jade Whitney with www.teamcanine.com. She specializes in canine manners and behavior modification. Jade will be giving us professional tips on how to set dogs up for success in every aspect of dining with your dog in dog-friendly restaurants. We will do a Facebook live feed, followed up by a blog recap.